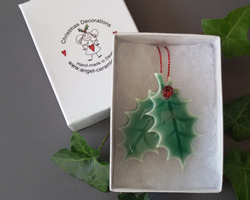 Angel-Ceramics - Christmas Decorations - Yuletide. 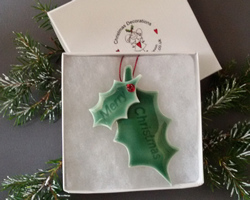 We wish you a Merry Christmas with this range of festive decorations. Giving jewellery this Christmas? Seal it with a Mistletoe kiss! 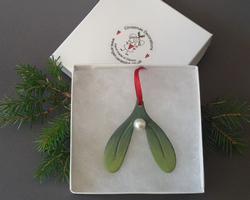 Perfect for hanging on the tree or dressing that special present this year. 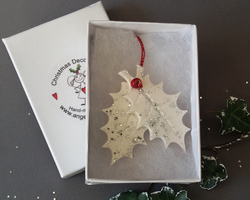 All of our decorations come boxed, making them perfect for those little gifts and for storing away safely. For our full catalogue page click here, or click on the images below for more details.